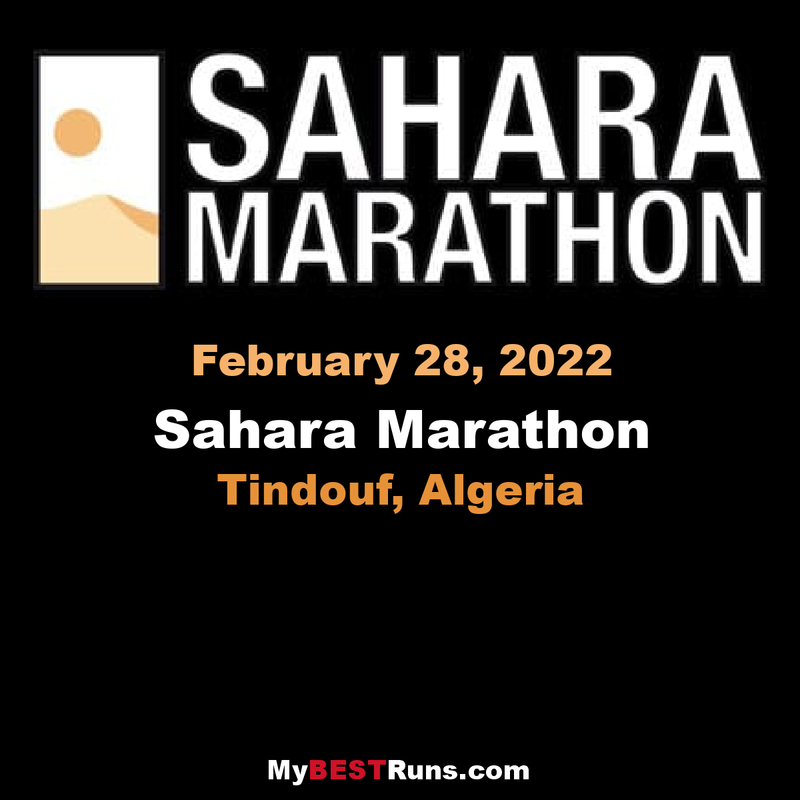 The Sahara Marathon is an international sport event to demonstrate solidarity with the Saharawi people. Its first edition is in 2001, from an idea of Jeb Carney. It’s organized by the Secretary of State for Sport, Government of the Sahrawi Arab Democratic Republic with the help of volunteers from all over the world. But also wants, through sport, raise awareness and sensitize the world about a 42-year-long conflict. 42 years of suffering for a population affected by a conflict that is burying their hopes, generation after generation, in the refugee camps of Tindouf (Algeria), far from their home. 42 years during which the international community has not been able to unlock the situation. A race to prevent the Saharawi people from being forgotten. 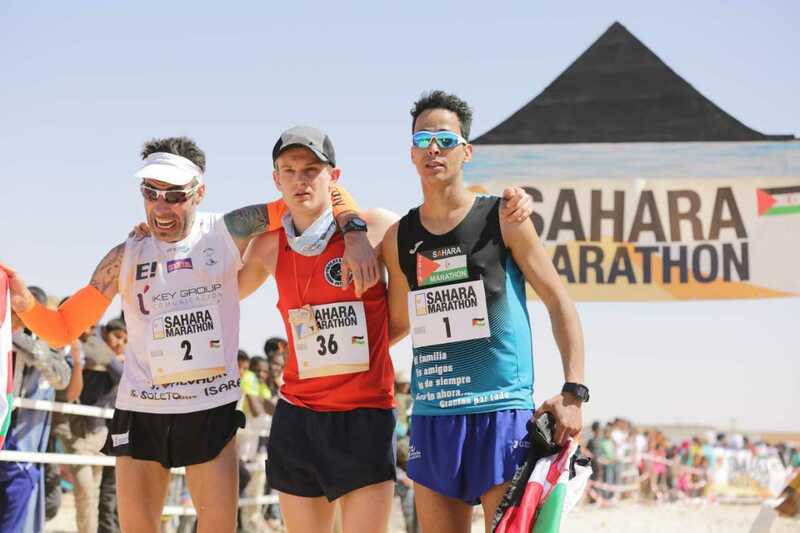 The first edition of the Sahara Marathon was born as a simple marathon, to give visibility to the Saharawi cause and express solidarity with this people. It was attended by less than a hundred people, amateur runners, who reached the camps in small groups organized by associations of solidarity that already knew the reality of the Saharawi. Participants were housed in families, as it is now, but each group or individual differently covered the expenses for their staying: some paid directly, some through their own saharawi delegate, some through the saharawi protocol. Among the participants there were almost no Saharawis. There was no funding of any common project, sporting or not. During the week no other activities in addition to running were planned. Registration for the race was around € 80. The organizers, foreigners and Saharawis, were volunteers. It was amazing. A seed of something that could be great, but soon we realized two problems. The first was that it wasn’t an economically sustainable model: participants didn’t fully cover the costs of their stay in the camps, which were not only the compensation of the hosting families. The same compensation, different for different groups, created inequalities. The hospitality of the Sahrawi is huge, as well as the importance of having visitors and the realization of this sporting event, but it was unacceptable for us to go to a refugee camp taking more than what we were leaving. The second problem was that we weren’t laying anything for the future when we were leaving. There wasn’t a vision, an idea to build something together, tied to sports, to be developed in the following years. Close to Tindouf, within the Algerian territory, at a very short distance from Western Sahara and Mauritania, there is a border zone which has been home to 200,000 sharawi refugees for more than 35 years. Each refugee camp is a “wilaya”, that is a little town, which bears the name of the corresponding abandoned Western Sahara city. In Dakhla the sand creates majestic dunes, but most part of the surrounding area is “hammada”, that is a place whose climate is always extremely cold or extremely hot. If you take a walk around the refugee camp, you will never feel alone, meeting people, children wanting to know your nationality or asking for candies, people stopping to talk to you and others who will just say hello without even stopping; most people will offer you some tea, the mark of hospitality for saharawi people. It would be polite to take at least three cups. The first one tastes bitter as life, the second is sweet as love while the third is soft as death. You came from a distant place for a very important reason, to promote more awareness of the health and food needs of Western Sahara children. This event is much more than a simple race. 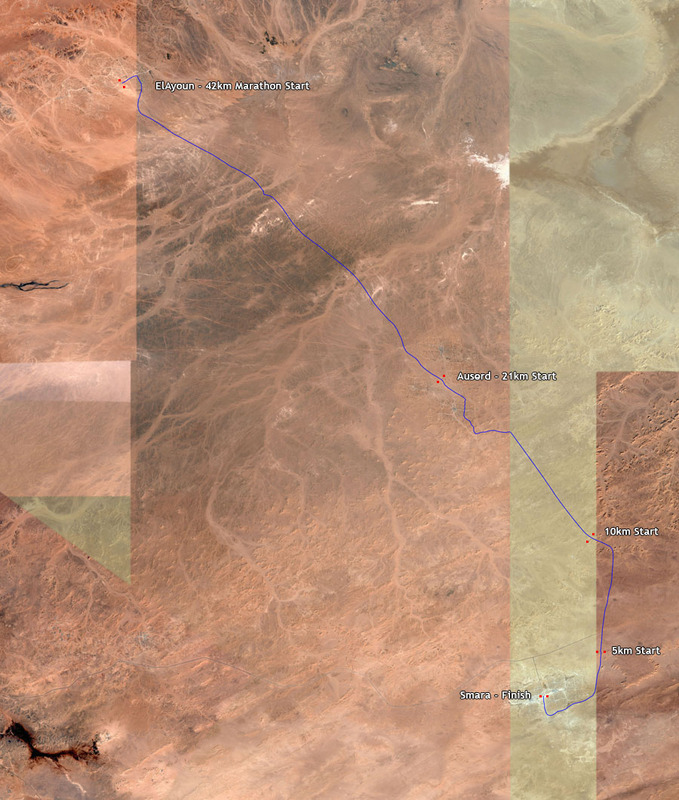 The route symbolically connects the three refugee camps of Smara, Auserd and El Ayoun, and leads runners through a desert which has been the home of refugees for 35 years. Thanks to your effort and your concern for this issue, you have reawakened their hope, giving them the feeling of not being alone. But what is more important is that, as you decided to go there, they can now count on new friends all their lives.